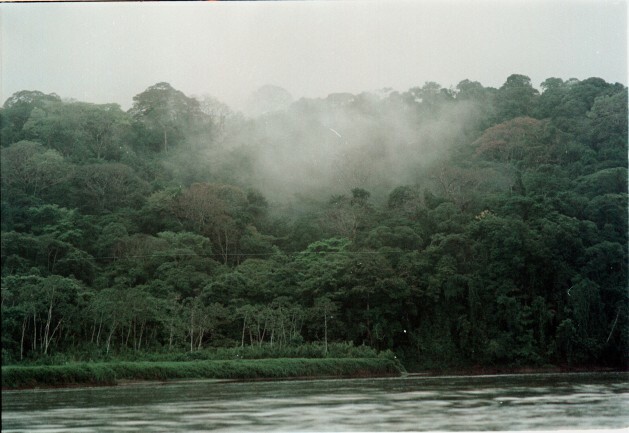 Cloud forest in Costa Rica. Credit: Germán Miranda/IPS. Oct 17 2016 (IPS) - Secure indigenous land rights not only bring environmental benefits, they can also foster economic development, according to a new report released by the World Resources Institute. The report, Climate Benefits, Tenure Costs: The Economic Case for Securing Indigenous Land Rights, describes how local communities can sustainably manage forests and generate economic growth when given tenure rights to their land. In Guatemala, Indigenous communities have successfully created sustainable income from the forest, while treating it as a renewable resource, Juan Carlos Jintiach, Advisor of Indigenous Organizations of the Amazon River Basin (COICA) told IPS. Indigenous communities in Guatemala export forest products including highly nutritious berries which are popular in Korea and Japan, said Jintiach. Their careful management of the forests has also made their wood products popular with guitar manufactures such as Gibson and Fender, he added. “In Guatemala the community-based industry is very well organized.” They have a land rotation system for their timber activities and they monitor the timber products up to the point they reach the consumer. “They use this revenue to improve local development, healthcare and education in their communities and that’s where the economic impact comes into the picture,” said Jintiach. The world’s 370 million Indigenous people have only limited land rights and are much more likely to live in extreme poverty than non-Indigenous peoples. Although they make up just five percent of the world’s population, Indigenous peoples make up 15 percent of the world’s extreme poor, according the World Bank. Therefore, inclusive economic growth which benefits indigenous peoples is one of the ways that countries can tackle extreme poverty, and achieve the first Sustainable Development Goal of ending extreme poverty. However, economic benefits are not the only reason why Indigenous Land Rights are important, the report argues. “The role of forests in climate mitigation is vastly under-appreciated, even by most climate experts,” Dan Zarin, Director of Programs, Climate and Land Use Alliance said at the launch of the report. “Other than the oceans there are no other carbon capture and storage technologies that are nearly as cost effective as forests and are proven on a large scale,” said Zarin. “Deforestation rates on legally recognised Indigenous lands are two to three times lower registered to Indigenous peoples,” the report found. Yet far too often government overlook local communities and allocate the rights to exploit a forest and other natural resources to multinational corporations with few if any links to the land. “Indigenous Peoples and other communities hold and manage 50 to 65 percent of the world’s land, yet governments recognise only 10 percent as legally belonging to these groups, with another 8 percent designated by governments for communities,” the report found. The report argues that allocating land rights to indigenous groups is relatively inexpensive for governments especially considering the measurable benefits. “Secure indigenous forestlands provide significant global carbon and other ecosystem service benefits in Bolivia, Brazil, and Colombia, estimated at between $679 and $1,530 billion for the next 20 years,” said the report. However without secure land rights, indigenous communities are often unable to protect the forest, Helen Ding, Environmental Economist and report author World Resources Institute, told IPS. “We have seen that the REDD+ program has been there for more than 10 years now and there is still deforestation happening in Brazil and Indonesia. The reason for that is partly because many of these lands are held by indigenous people are not recognised and they are not protected,” said Ding. In practical terms, she points out, land tenure rights allow local communities to access credit, which will enable them to generate economic benefits. This news article is something fishy. There might be something going on in there, like Westernizing the minds of these forest people. This is a vivid continuation of colonization. Doing business with the forest particularly if engaged with industrial societies can be precarious, not just for the trees but for wildlife as well. The money-economy is an adventure toward avarice and gluttony. Why need to do business if the forest itself is already sustainable for these people? If you go beyond contentment, that’s Mister Greed who conquers. In this case, Indigenous peoples badly need to apply DECOLONIZATION among themselves.